I’ve planted pumpkins in my garden for 2 years now. We had NOTHING, literally not a single sprout last year. But my son just ran in totally elated…. we FINALLY yielded a crop, check it out!!! 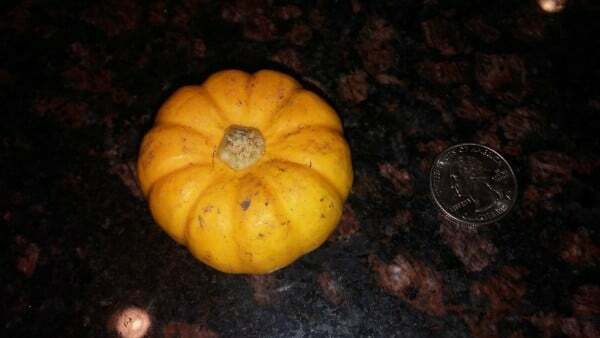 So maybe, growing pumpkins isn’t my thing. I suppose I could go buy some (something I’ll have to do in a month or so when it comes time to carve for Halloween), but in the meantime, wouldn’t it be more fun to MAKE them? And wow, did I find SOOOO many awesome ideas – you can definitely decorate for fall, without using actual, real, pumpkins – so these are decorations that are in it for the long haul, that won’t be rotting in your trashcan in a month. So here you go, theese are the top 23 awesome ideas for making pumpkins…. without actual, you know…. pumpkins. But first, can we be friends on Pinterest?? 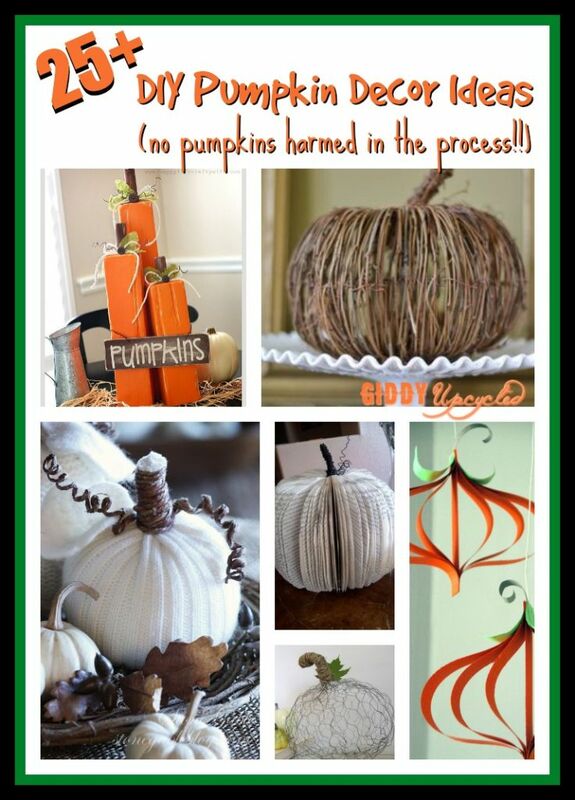 Follow Giddy Upcycled’s board DIY Pumpkin Decor (Without Real Pumpkins!) on Pinterest. harvest, thanksgiving, diy pumpkin lanterns. Could also do hanging over a kids table at Thanksgiving. Kids can help form and decorate these cute pumpkins that can double as centerpieces for your Halloween celebration. Paper pumpkins. You need a popsicle stick and paper. I know what else we're doing, only this time it's for Halloween. So we don't have to cram another thing on our summer list of "things to do." (: haha! Make these great pumpkins out of old sweaters. I made some last year with some sweaters I bought at the thrift store.